Welcome to the unofficial Linton GIN / Linton Blades website. 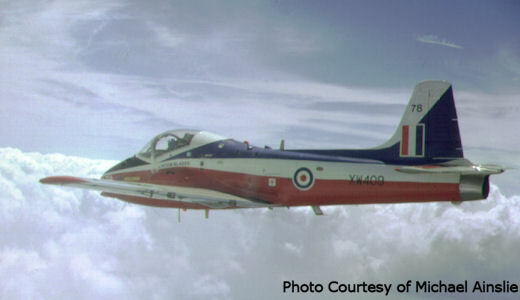 From 1961 to 1973 1FTS, based at Linton-on-Ouse, had various Jet Provost aerobatic teams. 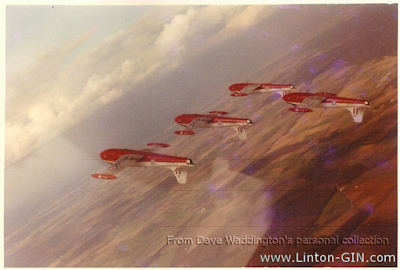 These teams were made up of RAF & Navy instructors based in Linton. This website aims to cover everything to do with these Aerobatic Teams Linton GIN ( & similar names 1961 - 1969) & Linton Blades ( 1970 - 1973 ). I am constantly looking for Info, contacts, photos, scans etc etc. If you were involved in the teams, can provide new / missing info, pics of the aircraft/pilots/groundcrew, or spot a mistake please feel free to Get in Touch. Quite a few of the pictures on this website expand , into a new window, if you click on them.